Three-Toed Sloth (Bradypus variegatus) Perezoso de Tres Dedos. 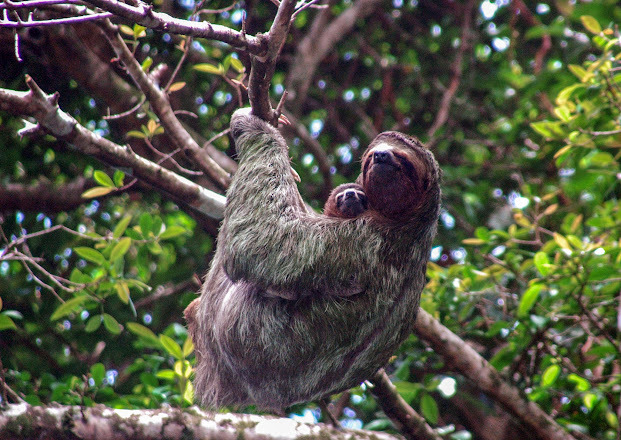 The three-toed sloths are tree-living mammals because they are arboreal (tree-dwelling). It si very common animal in our Country. We can find them in ant kind of forest: Rain Forest, in the dry Guanacaste Forest and even in the beach. 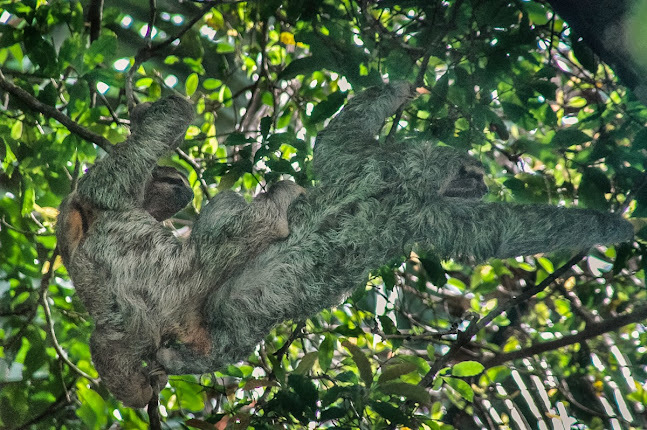 They are quite slow in trees, three-toed sloths are agile swimmers. The offspring cling to their mother’s bellies for around 9 months or so. They cannot walk on all four limbs, and so they must use their front arms and claws to drag themselves across the rain forest floor. They do not have a mating season and breed year round. 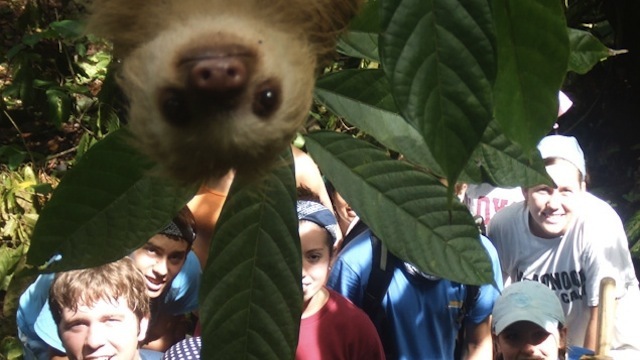 In Costa rica we love them, you can find refuges and sanctuary dedicated to the Sloths where you can find also Volunteer program. They are so Cute, they always are smiling.